And is a discrimination, because not all have to know English, and this people need help to. You like IT… You are here. Unfortunally, in this IT world, practise english language is not a mandatory, but is strongly recommended. You don’t need too have a Shakespeare level, only technical level. So, it’s not a limitation, It will bring opportinities, even in real life. I agree with that, but try to put in the skin of one person that don’t know nothing of English, and want to try nethserver. It’s not unfair to him because he don’t know nothing of English? 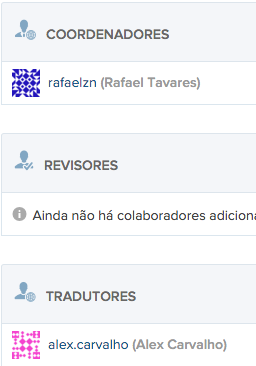 …but I think the Portuguese language team welcomes any help! IMHO, if we want to help Portuguese (and any other language) people who don’t know English we should put our efforts in translating the resources above at first! If you are interested, join @jgjimenezs and the other friends of translations_team. If you want any help to translate, I can help. 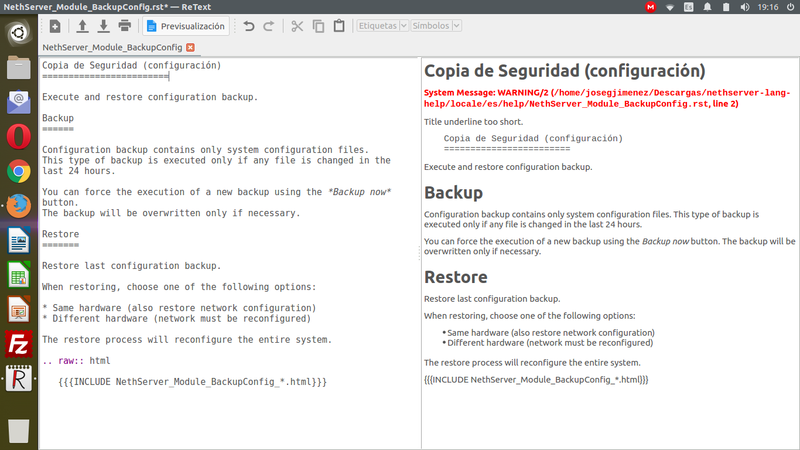 I recall the Spanish translation of online help files. That thread contains a lot of useful notes to start with. I’m here to lend my hand for the technical aspect! Ehi Paulo, thank you for your post! You’re right, it limits the communication , as a matter of fact many people shared with me the same feelings, they are not comfortable with English and it’s hard for them to ask help in such language, my English is bad as well. Let me give you another example, many people here has understood nothing about the beginning of the discussion and you have forced most of the people here to use google translate. What do you think? Isn’t the same? You’ll force around 600 people to translate your post, to make comfortable just 5 that’s not fair! It is possible have a hangouts with team members? I’ve been doing the translation in Brazilian Portuguese at least 30 minutes a day. I took a diminished in rhythm due to work. But whenever I can do. I’ve been doing the translation in Brazilian Portuguese at least 30 minutes a day.I took a diminished in rhythm due to work. But whenever I can do. I saw your work is amazing! Thanks for your help, how can I return the favour? The Brazilian Team on Transifex. Dois dias atrás @alefattorini acolheu uma canoa que chegou ao porto da tribo com 53 novos habitantes, dos quais alguns falam Português. De antemão agradeço-lhe por ter-nos em sua língua nativa. Pessoal, tem algum grupo no Telegram do NethServer?